Read this nice article on MagicValley.com. Click here to read the article. 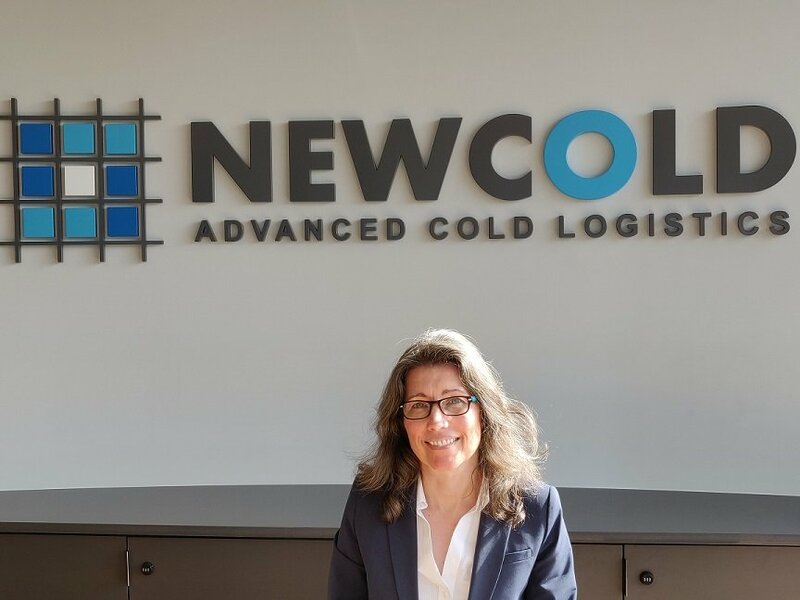 Valerie Kaminski has joined NewCold, a market-leader in automated frozen storage warehousing and logistics, in the role of Managing Director, North America. 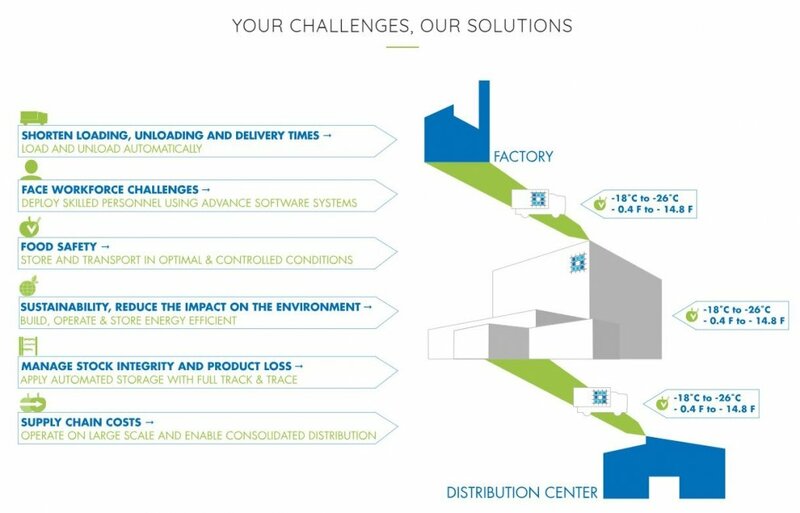 NewCold provides storage of frozen food in a safe and sustainable environment with state-of-the-art high bay mechanized facilities that use over 50% less energy compared to conventional warehouses. 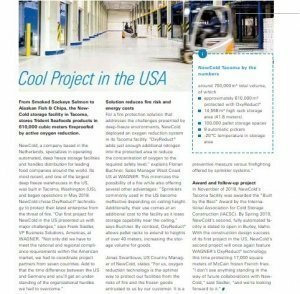 NewCold is expanding quickly in the US and has grown its network with nearly 200,000 additional pallet positions in two new facilities, one in Tacoma, WA, and the other opening this Spring in Burley, ID where it serves leading food manufacturers, including McCain and Trident Seafoods. NewCold offers large-scale multi-temperature warehouse and supply chain operations for food producers and retail companies. NewCold plans, designs, and builds these warehouses to customer specifications using proprietary technologies including its own cloud-based warehouse management system CORAX. NewCold launches its new website! Today we launch our new website and we’re proud of it. We hope you will enjoy it and find all the information you need. https://www.newcold.com/wp-content/uploads/2019/02/warehouse.png 400 900 Trix van Veen https://www.newcold.com/wp-content/uploads/2018/11/logo_NC_200.svg Trix van Veen2019-03-27 20:11:522019-03-27 20:13:34NewCold launches its new website! Wagner Group, the German company which supplied the Oxigen Reduction system at NewCold Tacoma, published a nice article in their corporate magazine about the installation and advantages of their oxigen reduction system. WAGNER’s VdS-approved OxyReduct® fire prevention system makes sure that fires cannot develop in the first place. By feeding a controlled supply of nitrogen into the protected area, it keeps oxygen concentration levels consistently below the ignition threshold of the combustible materials inside. May we invite you to read the article? In this movie you will see the construction of our high bay coldstore in Burley, Idaho, USA, in 1.30 minutes. This part of the project has been realized by FISHER, the Design and Build Contractor, SCHAEFER did the racks, MIAS installed the 7 stacker cranes, TGW was responsible for the HB conveyor system, FAIS prepared the controls and everything led by the NEWCOLD Project team. The next step is the completion of the fully automated warehouse. The NewCold Team wishes you a wonderful holiday season and a healthy & prosperous new year. Watch the great video we made of the opening on the 12th of September 2018 of the second phase of NewCold’s cold storage in Wakefield, UK. From left to right: Mark Slaughter, Director General for Investment at the Department for International Trade, Bram Hage, Founder/CEO NewCold, Jon Miles, Country Manager UK NewCold and Denise Jeffrey, Deputy Leader, Wakefield Council. 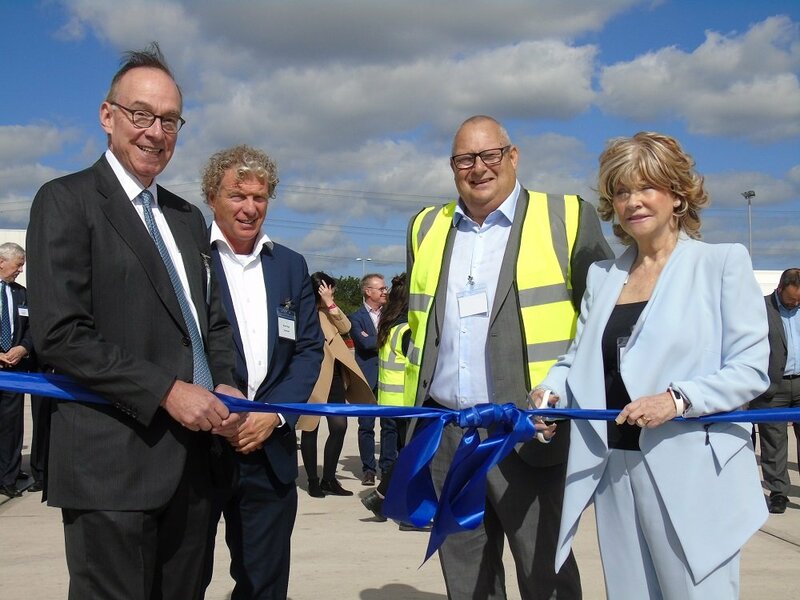 NewCold has unveiled its newly-completed deep frozen storage and distribution centre which, says the company, is now the largest of its kind in the UK. The Wakefield plant will handle 3,000,000 pallets annually and with a total volume of over 4 million cubic metres, the giant deepfreeze has the capacity to store 143,000 pallets – at a constant, minus 23 degrees. 175 pallets come in and out every hour and just five minutes is required to unload NewCold’s bespoke-designed moving floor trailers. Featuring some of the most advanced automated technology of its kind anywhere in the world, the NewCold plant is fully automated and minimal handling maintains product temperature, at all times. The operation is driven by Davanti software which has been improved year on year specifically to get optimum use of the automation. Furthermore, the dispatch bays are deep-frozen, whereby many conventional stores are chilled. NewCold’s founder and CEO Bram Hage commented on the ‘challenges’ met and overcome by the NewCold team during the development and growth of the Wakefield site and referenced similar greenfield projects undertaken by NewCold elsewhere in the world. “This is the coming together of talented people, both from NewCold and our many supply partners and customers, to formulate a truly global consolidation of skills and recourses in the supply chain.” Also addressing those present, Mark Slaughter, Director General for Investment at the Department for International Trade, highlighted the importance of ongoing commercial partnerships between the UK, the Netherlands and the numerous other countries in which NewCold has established similar cold storage and logistics operations. “I am delighted that the Department for International Trade, working in partnership with Wakefield Council, has been able to support NewCold to deliver a truly world class facility bringing over 200 highly valued jobs to the area. I know that the completion of this site is just the start for NewCold and our international economic department stands ready to help the company further expand their UK presence.” To complete the official opening ceremony, Denise Jeffrey, Deputy Leader of Wakefield Council and a long-term supporter of NewCold’s Wakefield venture, cut a ribbon suspended between two NewCold double-deck temperature-controlled trailers. While overhead, NewCold Logistics advisor Tom Cassells treated the crowd to an aerobatic display and ‘fly-by’ in his single-seater, Cap 23 aerobatic plane. “It was a fitting conclusion to a great afternoon”, concluded Jon Miles. “From the start, Denise Jeffrey and Wakefield Council have helped greatly, including 3 years ago with the introduction of many new recruits – 75% of whom, I’m pleased to say are still with us and remain part of our 200-strong team.” Jon went further to say that NewCold has so far committed around £100m on build cost alone, and their growth plans over the coming two years will see further investment, including the recruitment of an additional 70 personnel. The NewCold logistics operation expands in line with their core business and so far, comprises 50 tractor units and 80 temperature-controlled trailers – many of which are high-volume double-deckers with auto-loading. NewCold is very focused on achieving the lowest energy use possible. We continuously investigate the market to be able to implement the most innovative solutions in construction, automation, lighting and operation.